MARTIN S. FUENTES/LAS VEGAS REVIEW-JOURNAL Centennial High School Bulldog basketball players Malcolm Allen, center, and his brother, Marcus Allen, both juniors, listen to an assistant coach during varsity boys basketball practice in the school gymnasium at 10200 Centennial Parkway in Las Vegas, on Monday, Dec. 5, 2011. MARTIN S. FUENTES/LAS VEGAS REVIEW-JOURNAL Centennial High School Bulldog basketball player Marcus Allen participates in varsity boys basketball practice in the school gymnasium at 10200 Centennial Parkway in Las Vegas, on Monday, Dec. 5, 2011. Allen and his brother Malcom Allen, both juniors, play on the team. 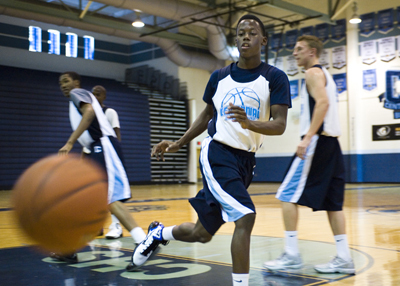 MARTIN S. FUENTES/LAS VEGAS REVIEW-JOURNAL Centennial High School Bulldog basketball player Malcom Allen participates in varsity boys basketball practice in the school gymnasium at 10200 Centennial Parkway in Las Vegas, on Monday, Dec. 5, 2011. Allen and his brother Marcus Allen, both juniors, play on the team. MARTIN S. FUENTES/LAS VEGAS REVIEW-JOURNAL Centennial High School Bulldog basketball player Marcus Allen poses for a photo during varsity boys basketball practice in the school gymnasium at 10200 Centennial Parkway in Las Vegas, on Monday, Dec. 5, 2011. Allen and his brother Malcom Allen, both juniors, play on the team. MARTIN S. FUENTES/LAS VEGAS REVIEW-JOURNAL Centennial High School Bulldog basketball player Malcolm Allen poses for a photo during varsity boys basketball practice in the school gymnasium at 10200 Centennial Parkway in Las Vegas, on Monday, Dec. 5, 2011. Allen and his brother Marcus Allen, both juniors, play on the team. 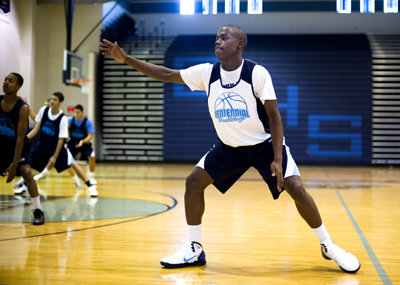 Most high school basketball teams still are developing their chemistry. That comes from fraternal twins Marcus and Malcolm Allen, a pair of junior guards with 4.5 weighted grade-point averages who give the Bulldogs a talented and extremely cohesive backcourt. Watching the Allen brothers swing the basketball around the perimeter or play help defense in practice is like watching choreographed dance steps. The 6-foot-1-inch Malcolm Allen plays point guard, and the 6-3 Marcus Allen plays shooting guard, though they switch off occasionally. Centennial (2-0) opened the season with impressive wins over Green Valley and Coronado, averaging 87 points. The twins have led the way, with Marcus averaging 31.5 points per game and Malcolm 20 points along with 4.5 assists. Centennial coach Todd Allen, who is not related to the Allen twins, said both players let scoring come naturally to them and excel with their shot selection. Marcus Allen averaged 10.9 points last season but appears to have blossomed into one of the area’s most dynamic scorers this season as the Bulldogs try to replace graduated standout Aaseem Dixon. Asked to analyze his brother’s strengths, Malcolm Allen praised Marcus’ ability to “flat out shoot the ball” and create his own shot. As if he overheard during practice, Marcus Allen hit a pull-up jumper from the wing moments later. Marcus Allen then was asked to break down Malcolm’s game. “He’s fast and can break the press,” Marcus said, before Malcolm ran a crisp fast-break drill. “It’s not telepathic, but we know what we’re going to do,” Marcus Allen said. The Allens’ mother, Trina Wiggins, was a Stanford gymnast, and their father, Carl Allen, was a Vanderbilt football player. Both parents graduated in 1982, and their academic focus has been passed down. 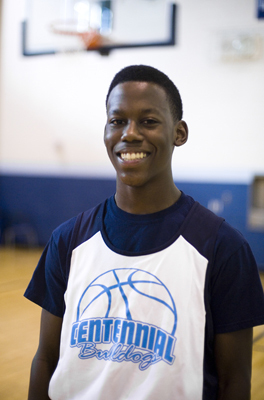 Marcus Allen, who is passionate about math, said his favorite subject helps on the court. The twins were part of a Centennial team that went 23-5 last season, losing to Sierra Vista in the Sunset Region semifinals. They continued to develop while playing together for respected team Branch West (Calif.) over the summer. Todd Allen said the twins have received early recruiting attention from Stanford, and a letter from UC Santa Barbara sat on the coach’s clipboard. 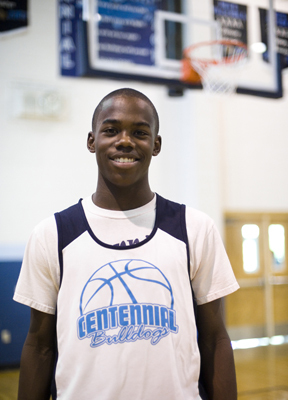 Centennial has plenty of talent, including senior leaders in the 6-6 Martin and swingman Neiman Lee. The Bulldogs hope it adds up to a memorable season.